You might be doing some last minute shopping, some preparatory cooking, or some relaxing, but London never stops. Check out our run down of what’s happening this week. The ICA hosts a documentary about Salim Shaheen, the most popular and prolific actor-director-producer in Afghanistan. Shaheen, who has made over 100 features, is followed by a camera crew during the making of his 111th film, giving viewers an insight into his process and personality. The Prince of Nothingwood is at the ICA until 21 December. Tickets from £3. If you want some last minute culture, The Royal Academy hosts a big exhibition exploring the relationship between Salvador Dali and Marcel Duchamp until 3 January 2018. Visitors can see some of Duchamp’s most famous conceptual work, such as ‘The Fountain’, as well as early Dali paintings and portraits. Dali/Duchamp is at The Royal Academy until 3 January 2018. Tickets from £10. The Horniman hosts this exhibition of over 100 photographs that showcase the diversity of wildlife in Britain. 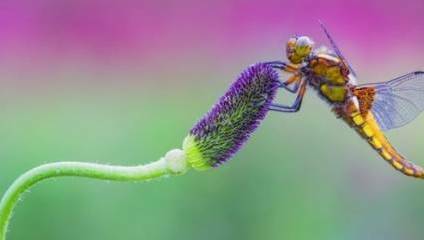 Including both amateur and professional photography, this exhibition celebrates the beauty of British wildlife, from cute little foxes to amazing insects. British Wildlife Photography Awards 2017 is at the Horniman Museum until 14 January 2018. Free admission. The Paper Balloon theatre company presents a Russian-inspired Christmas tale at the Chelsea Theatre. The story follows the story of Liza and some mischievous Winter Sprites in an amazing snowy wonderland. This is a perfect show for little ones, and its inventive qualities means that adults will love it too! Once Upon a Snowflake is at the Chelsea Theatre until 22 December. Tickets from £9.